Elementor Marketplace is already here! Creating a website is not an easy thing, unless… you use Elementor! This astonishingly easy-to-use live page builder is really the thing that can immensely help you out in creating website’s pages in a drag-n-drop way, using the convenient widgets for adding content to the sections and columns. Numerous website owners with different level of experience in website building field have already made their decision to work with Elementor page builder which makes creating content and building actual pages a no-brainer thing. However, when one decides to move to Elementor from other page builders or is looking for a page builder, being new to WordPress, he wants to know more details about the product, as well as if there are the themes for it or any additional products. Elementor Marketplace is just the place where one can get everything needed for creating a website with Elementor! It includes themes, templates and plugins to gain the maximum power when working with this page builder. 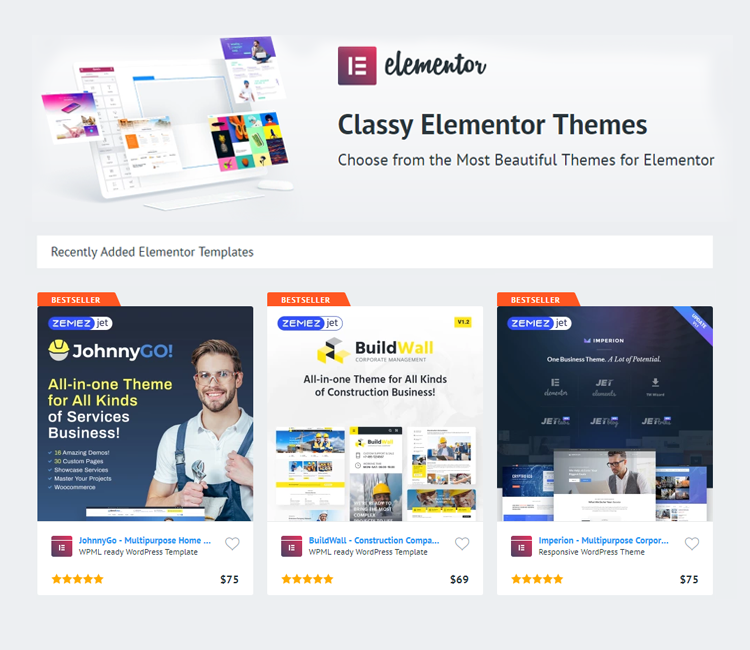 Basically Elementor works with all WordPress themes. However, in the case one wants to create a website with all the pages built with Elementor, it is necessary to get the right theme. Elementor Marketplace has lots of themes built with Elementor! This means, that any page of the theme can be easily customized and tuned up using Elementor live page builder and its widgets! Sometimes just Elementor and the right theme are not enough for your website. This is the case when the specific pages are needed, or when you want to get a ready page template on the specific topic. And this is the very case when you just ought to look closer at Elementor templates! 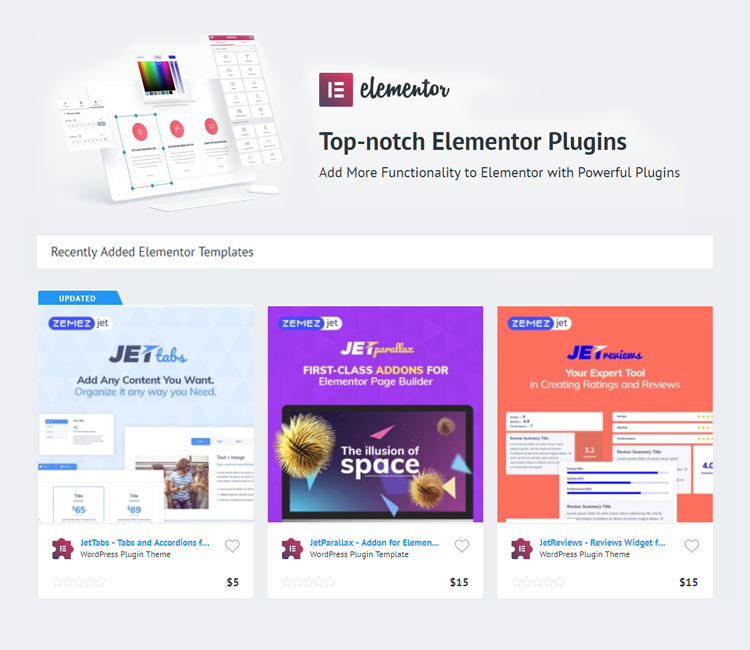 Loads of ready page bundles on different topics are already represented here, and each one of them is built with Elementor and can be easily imported to the site and then customized according to your needs! Even more power can be gained with Elementor plugins! These are the addons for the popular page builder, that provide additional functionality needed for creating websites. 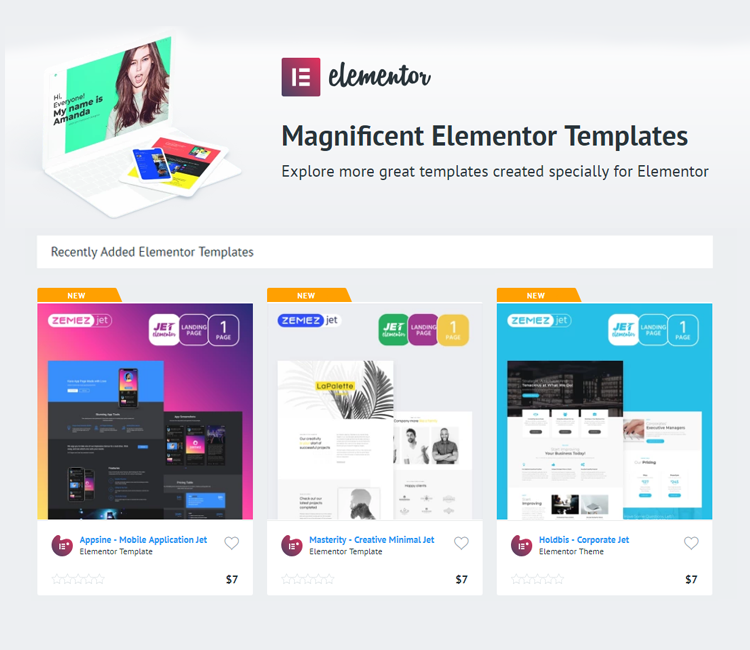 From creating mega menu to tabs with Elementor templates inside of them, creating blog listing and grid widgets and WooCommerce widgets and layouts for Elementor. The plugins represented on the marketplace can boast exceptional quality and are really easy-to-use, making the process of working with Elementor as simple as it can be! Elementor Marketplace is the place to find everything needed for Elementor. Here you’ll be able to find just what you need at a really reasonable price! CrocoBlock Subscription Service Comes Back Renewed!